This Wednesday, April 12, 2017, file photo shows a home for sale, in Natick, Mass. 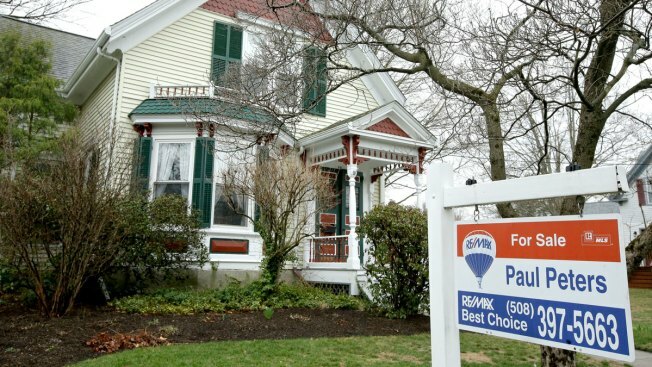 Real estate brokers are trying to figure out why sales of existing homes plunged in December. The 4.6 percent monthly move was unusually large, regardless of direction. The tally from the National Association of Realtors generally moves in the very low single digits month to month. In fact, the shift was one of the largest that didn’t involve some sort of change in government policy, like the homebuyer tax credit. The supply of homes for sale also rose just more than 3 percent compared with a year ago. Low supply had been holding sales back last spring, despite strong demand, so it would make sense that more supply would boost sales, unless this is a sign that demand is weakening. “This weakness is certainly due to the sharp home price gains along with the rise in mortgage rates,” said Peter Boockvar, chief investment officer at Bleakley Advisory Group. Affordability has been blamed for slower sales over the past six months, but sales in December matched the same pace as in 2000, and Yun argues that affordability is better now. That underperformance cannot be blamed on the partial government shutdown, as most of these deals would have been signed in October, well before even the threat of that. It also cannot be blamed on stock market volatility, as that didn’t really kick into high gear until mid-November. Interest rates did move higher in October but started their slide lower in November, and rates were higher in September as well, so it wasn’t a sudden jump. Rates are also still historically low. In fact, mortgage rates in 2000 were twice what they are now. Of course home prices were lower then. “While positive demographics and a solid job market would normally offset this relatively modest rise in mortgage rates, it’s been about 10 years since mortgage rates have been as high as they were at the November peak – suggesting that there is a larger share of current homeowners who feel they are ‘locked in’ at a lower mortgage rate ... reducing the number of them who would be looking for a home at a higher mortgage rate,” said David Berson, chief economist at Nationwide. If anything, the drop may be due to the fact that home prices are actually falling in some areas, especially in the West, and in the rest of the nation the gains are shrinking. That makes it easier to afford a home, but less desirable if potential buyers are concerned that their new home’s value will immediately depreciate. No one wants to catch a falling knife. The median home price of $259,100 in 2018 was the highest on record. While mortgage rates did drop in December, the expectation is that they will move higher this year, and that will hurt affordability further. “Looking ahead to 2019, expect weaker existing-homes sales as the new year ushered in a government shutdown and worsening economic uncertainty,” said Cheryl Young, senior economist at Trulia.